So, you’ve really got the urge to just stay at home, chill out and play some Paddy Power Bingo but the sky is clear and the sun is shining. You can’t waste one of the few good days of the year, so how do you get your bingo fix? Easy! There are many different ways to play bingo in the sunshine and below are just a few suggestions on how to get a game going. If you don’t plan on travelling anywhere far on a sunny day, there are still plenty of nearby places you can sit out and play bingo in the sunshine. You could step outside into your back garden and invite friends and family over for a bingo BBQ. All you’ll need to do, is get a bingo cage full of bingo balls, bingo cards for each player and some pens. You’ll need to delegate someone to be the bingo caller who picks up the bingo balls and reads the number out loud. This is… OK, so it’s just bingo but in your garden with a barbeque. Let’s try being a bit more ambitious. How about we head over to a local park with a playground? With a slide, seesaw and other apparatus, you can enjoy a game of physical bingo. For this game, you’ll just need yourself and a bingo card that includes park apparatus. Instead of crossing the items off your bingo card on sight, you have to use the equipment. Go down the slide, use the seesaw and play on the swings. The best part about bingo in the park, it’s free and a fun day out! For anyone looking to enjoy bingo outdoors, I’ve got some good news for you! Thanks to the friendly people at Paddy Power, I’ve got a bingo starter kit to give away! It’s a piece of cake to take part in the giveaway! All you have to do is leave a comment below, telling me why you love bingo! And if you’re new to bingo, write a comment about why you’re excited to start playing. 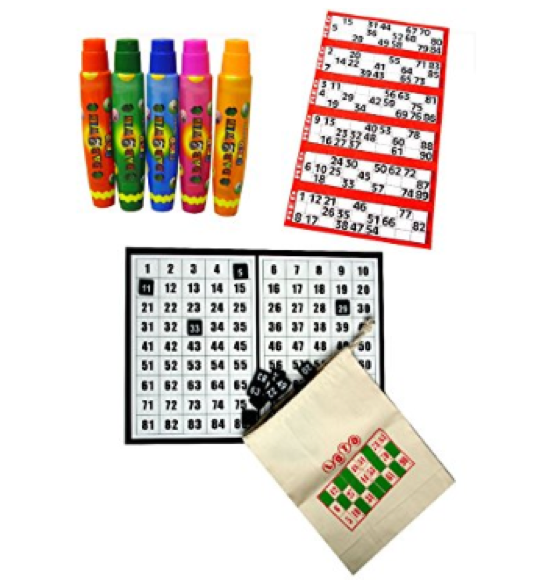 By the end of the week, I will randomly pick one winner to win the beginners bingo kit. So, get commenting!